One of the features we all expect a new flagship to have these days, is Quick Charge. Just about every smartphone with the Snapdragon 800, 801, 805, 808 or 810 processor has Quick Charge 2.0. But now all manufacturers have been shipping Quick Charge chargers with their devices. Why? Who knows, honestly. However, there are a number of accessory makers out here that have been making Quick Charge 2.0 accessories, including Aukey. Who just announced a ton of new Quick Charge 2.0 accessories – number of which we’ve reviewed here on the site. Aukey’s Turbo Charger does have only one USB port. Which is unfortunate for those of us with tons of devices that we need to charge up. It’s a bit wider of a charger than some others on the market. And that’s due to all the power it has inside. It is a Quick Charge 2.0 charger, which means it will charge up your device pretty quickly. It can charge up the 3100mAh battery in my Sony Xperia Z3 in under 2 hours. Which is pretty decent. Of course, we’d still love it to charge faster, wouldn’t we? When you buy this Turbo Charger, you also get a micro USB cable in the package, which is a nice throw in. It’s also $15.99, at the time of writing this, and is available in both black and white. You can grab either color from the links down below. 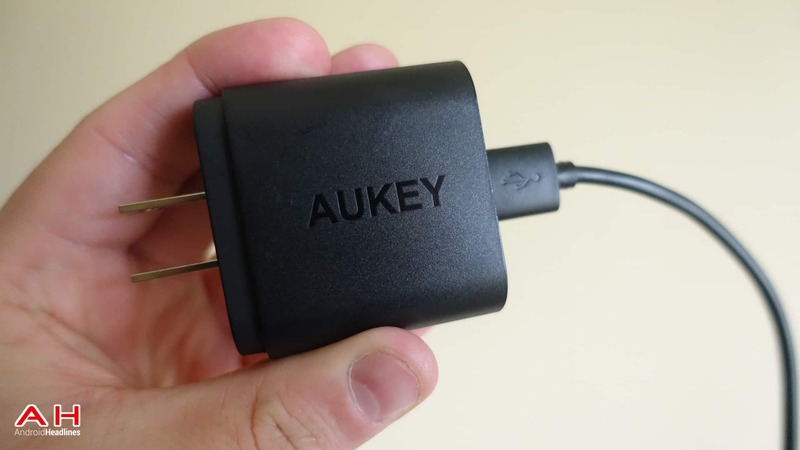 The post Featured Accessory: Aukey Quick Charge 2.0 Turbo Wall Charger appeared first on AndroidHeadlines.com |.